Tremblant is widely recognized as the premier ski destination in Eastern North-America. But it is also a world-class four-season destination with an unrivalled diversity of activities and attractions during the summer months; from spring thaw to autumn leaves. 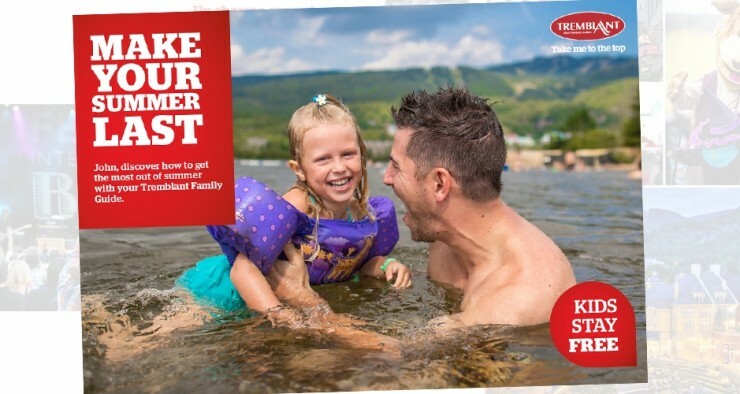 In order to promote the many dimensions of the product, while minimizing the potential confusion and information overload, Tremblant mandated Strategies to create the Tremblant Summer Guide. The Tremblant Summer Guide is a personalized online recommendation tool that l helps prospective visitors to discover the Tremblant experience that’s right for their goals and interests. Based on the people you’re traveling with, your vacation goal, where you’re traveling from, etc., the Tremblant Guide recommends the customized experience that’s best suited to your needs with a targeted selection of lodging, activities and attractions. It’s the vacation guide that’s just for “me”.